Posted on February 4, 2013 at 20:37. Hope Industrial Systems’ new shorter distance KVM Extender delivers clear, high-resolution VGA video and USB signals up to 75 m (246 ft.) away from the computer or server. Any USB 1.1 device, including touch screens, mice, and keyboards, can be used. Two separate transmitters connect directly to the computer and send video and USB signals via CATx cables to a remote receiver unit that mounts to the back of one of our Universal Mount Monitors. 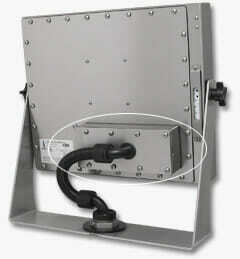 For more details, please visit the new Industrial KVM Extender’s web page.